Fun fact: we’ve already completed 10% of 2019! This week’s slightly recovery in price was good although things don’t look like they’re about to change anytime soon. In the mean time we’ve seen continued growth with MakerDAO and Uniswap. What I find fascinating is that, despite the DEX space being already crowded, the ability to easily provide liquidity really made Uniswap stand out. Early adopters seem to understand and enjoy doing financial transactions such as creating a CDP via MakerDAO or being a liquidity provider for DEXs. A year ago these projects were hard to use or didn’t exist altogether. Within a year we’ve seen over $70m worth of ETH locked up by MakerDAO alone and many more DeFi projects locking up more and more ETH. I’ve recently been reading the book “How The Internet Happened” and what strikes me as a big deal is how everyone thought portals were going to be The Big Thing. Turns out search engines would be the real “portals” to the internet. The path to crossing the chasm in crypto will be steps which no one has seen and will happen gradually in more bull and bear cycles. A key differentiator is the fact that crypto provides liquidity a lot earlier than most technology cycles. The internet had one boom and bust. Crypto has had a few cycles and will continue to have more cycles. That’s all for this week. Let me know if you have any thoughts or suggestions! We’re getting close to an internal release of a feature complete MPX 0x relayer! Consensys’ Andrew Keys highlighted our project in his blockchain predictions for 2019. Our team is proud to be building a protocol that will give more people access to financial opportunity. We released a blog post that outlines Stablecoins and their role in the new digital financial ecosystem. DexIndex.io, a price comparison tool for Ethereum DEXs, was launched two weeks ago, and we’re seeing more contributions from the community. As of this update, DexIndex can pull pricing data from Ethfinex, Radar Relay, ForkDelta, Bancor, AirSwap, DDEX, IDEX, Kyber Network, Saturn, Uniswap. We recently launched an entirely new KyberSwap that provides a better token swap experience. KyberSwap.com is a fast, simple and secure way to swap ERC20 tokens such as ETH, WBTC, DAI, TUSD etc. Enjoy competitive spreads, with no orderbooks and deposits required. KyberSwap is a standalone token swap service powered by Kyber Network’s on-chain liquidity protocol. Congrats to MyEtherWallet (MEW) on the launch of their new interface! Kyber continues to support ERC20 token swap functionality directly on the new MEW, providing millions of users the ability to convert 70+ tokens including WBTC and DAI without leaving the platform. At Melonport’s M-1, Gavin Wood discussed upcoming Substrate and Polkadot developments, including: HODL voting bonus, correlating multi-origin slashing, runtime parallelism, offchain compute, delegated voting, and more. Recording here. We were notified that a special RPC request can crash Parity Ethereum nodes pre-2.2.9 or 2.3.2. We released a fix the day we were notified — please update your Parity Ethereum nodes ASAP. 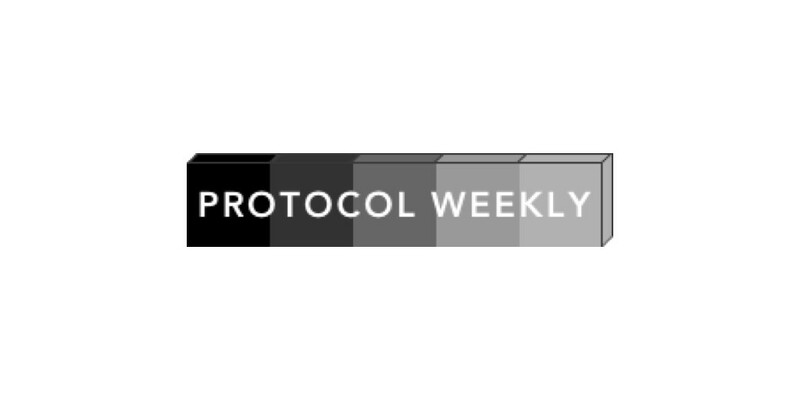 While the vulnerability only directly affects Parity Ethereum nodes that serve JSONRPC as a public service (e.g., Infura, MEW, MyCrypto, etc), we recommend everyone to update their nodes immediately. New Substrate-TCR-UI — a react-based frontend for the Substrate TCR runtime which uses PolkadotJs API for connecting to the Substrate node. Kim wrote a great guide on how she built a decentralized bidding game on Aion. Metalyfe, a blockchain based browser launched and announced investment from Bicameral Ventures, an ecosystem fund for Aion. Based on the increased confidence we’ve built in Dharma Lever’s smart contracts and feedback from early Alpha partners, we have made a few changes to the way Lever loans work. We now support loans of 28-day durations and enforce a 25k USD limit on loans (for both ETH and USDC). We’ve released the beta for our payroll application. If you’re interested in using our software to pay your team in crypto get in touch with us!